Because every computer display different, pictures and objects may be slightly a little color difference. We will try to keep consistent with the real in the future. Millennial style wallet. RARE ZEBRA SKIN skin ID/ credit card case. Each wallet is unique. Each wallet is hand made. The exotic skin was professionally tan by us into leather. Heavy duty construction. Resident Evil Stars Dep Raccoon Police Badge & Badge ID Holder Card Holder. Quality problem includes : broken zip,hole,sewing problem,dye,etc. been combined into a single invoice with the correct price. Millennial style wallet. REAL RATTLESNAKE SKIN ID/ credit card case. Each wallet is unique. Each wallet is hand made. Heavy duty construction. 1 expandable credit card slot or for your cash. 2 ID windows. Millennial style wallet. REAL PYTHON SNAKE SKIN credit card case. Money clip with flap. The exotic skin was professionally tan by us into leather. 3 credit card slots. Cash not included. Each case is unique. Millennial style wallet. REAL PYTHON SNAKE SKIN credit card case. The exotic skin was professionally tan by us into leather. 4 credit card slots. Each case is unique. Each case is hand made. Truly a work of art. Item is made with 6oz leather and is very durable and tough. Credit Card Slots: 6 I.D. Window: Yes (Internal; Flap). Otherwise, item will be send as it goes. Material: Genuine Leather Bi-fold. MONEY BILL IS NOT INCLUDED NOTE! The following are DEMO PICTURES FOR REFERENCE of style, pattern, or texture. GENUINE ALLIGATOR LEATHER. -Material : 100% GENUINE ALLIGATOR/CROCODILE LEATHER. -Color : Black. Color: Black. I am sure we will find a way to solve. Millennial style wallet. Each wallet is unique. Each wallet is hand made. The exotic skin was professionally tan by us into leather. Heavy duty construction. 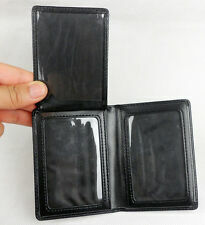 1 expandable credit card slot or for your cash. Millennial style wallet. REAL RETICULATED PYTHON SNAKE SKIN ID/ credit card case. Each wallet is unique. Each wallet is hand made. The exotic skin was professionally tan by us into leather. Heavy duty construction. Millennial style wallet. REAL BALL PYTHON SNAKE SKIN ID/ credit card case. Each wallet is unique. Each wallet is hand made. The exotic skin was professionally tan by us into leather. Heavy duty construction. Material : Stainless, Mother of Pearl Made in Korea. The inside of case is designed by the folk pattern. Pattern and design of gift box can be changed each production lots. Pattern : Night Star HBC1017. Millennial style wallet. REAL RED TAIL BOA SNAKE SKIN ID/ credit card case. Each wallet is unique. Each wallet is hand made. The exotic skin was professionally tan by us into leather. Heavy duty construction. Millennial style wallet. REAL BROWN ALLIGATOR SKIN ID/ credit card case. Interior is FINE black calf leather. Each wallet is unique. Each wallet is hand made. The exotic skin was professionally tan by us into leather. Material: Genuine Cowhide Leather (Matte Finish). 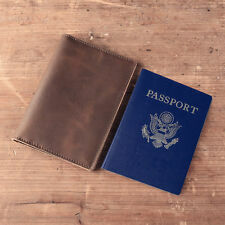 Passport Insert, Credit Card slots, ID slots (see pictures). The following are DEMO PICTURES FOR REFERENCE of style, pattern, or texture. The actual color of the item is described and shown by the picture above. Glamour Exotic Skin. ular sanca Kembang Reticulated Python. Material : real Python Malayopython reticulatus. Species of Wild Fauna and Flora (CITES). we follow strict. WE PROVIDE CITES CERTIFICATE. AUTHENTIC PYTHON SKIN LEATHER. Millennial style wallet. REAL PYTHON SNAKE SKIN ID/ credit card case. Each wallet is unique. Each wallet is hand made. The exotic skin was professionally tan by us into leather. Heavy duty construction. The case is made of lightweight, durable aluminum and is silver colored. A unique and stylish accessory! See picture for details! GENUINE CROCODILE TAIL SKIN WALLET ! THIS WALLET IS VERY SHINY BECAUSE IT IS MADE OF GENUINE FRESH WATER CROCODILE SKIN. GENUINE FRESH WATER CROCODILE LEATHER IS VERY RARE & UNIQUE. SO THIS IS REAL UNIQUE AND REAL WORTH FOR EVERY OCCASION. Pattern : Kiss HBC1002. Material : Stainless, Mother of Pearl Made in Korea. The inside of case is designed by the folk pattern. Pattern and design of gift box can be changed each production lots. Available Buisness Card : About 15. · Genuine handcrafted 100% Alligator Skin Slim Premium Card Holder. There is no fading on the skin but reflections from the light. · Color: Blue. Millennial style wallet. REAL BOA SNAKE SKIN credit card case. Money clip with flap. The exotic skin was professionally tan by us into leather. 3 credit card slots. Cash not included. Each case is unique. Wooden leather credit card wallet - stylish design, combining genuine calf leather and natural walnut wood. Modern design, each wallet will be engraved in the stylish pattern. You can order the wooden wallet with any other design from WOODGRAW. New Genuine handcrafted 100% Alligator Skin Tan Color Slim Deluxe Card Holder. It’s a beautiful, slender, elegant and exotic looking slim card holder. One of a kind! · Genuine handcrafted 100% Alligator Skin Slim Premium Card Holder. 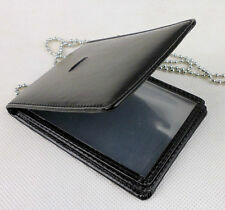 · Genuine handcrafted 100% Alligator Skin Slim Premium Card Holder. · Color: Burgundy. There is no fading on the skin but reflections from the light. Each Insert Holds Up To 12 Pictures AND Credit Cards. Back Tab Slide in behind the Slots Each Insert Holds Up To 12 Pictures AND Credit Cards Easy to remove Your Pictures AND Credit Cards. Special Notice. This Bmw Cigarette Money Case is perfect for holding your money, credit cards, and cigarettes or cigarillos. Color: Black. I am sure we will find a way to solve this problem. (Write the text you want to put on and I'll send you a layout of how it will look. Your confirmation - and the wallet will be personalized). Smooth seams and high-quality leather - excellent handmade accessory!